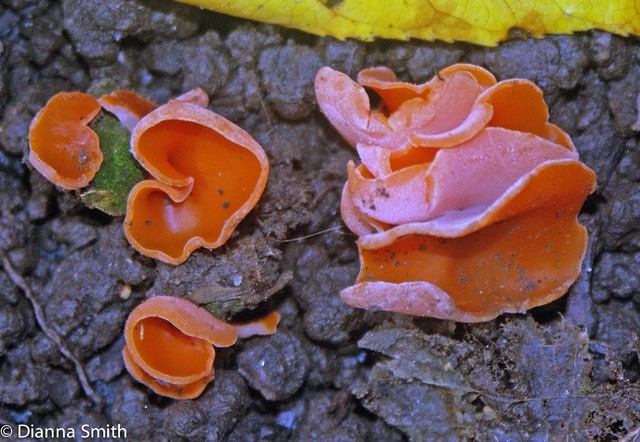 Aleuria aurantia is saprotrophic cup-shaped fungus that resembles an orange peel tossed on the soil or gravely ground. 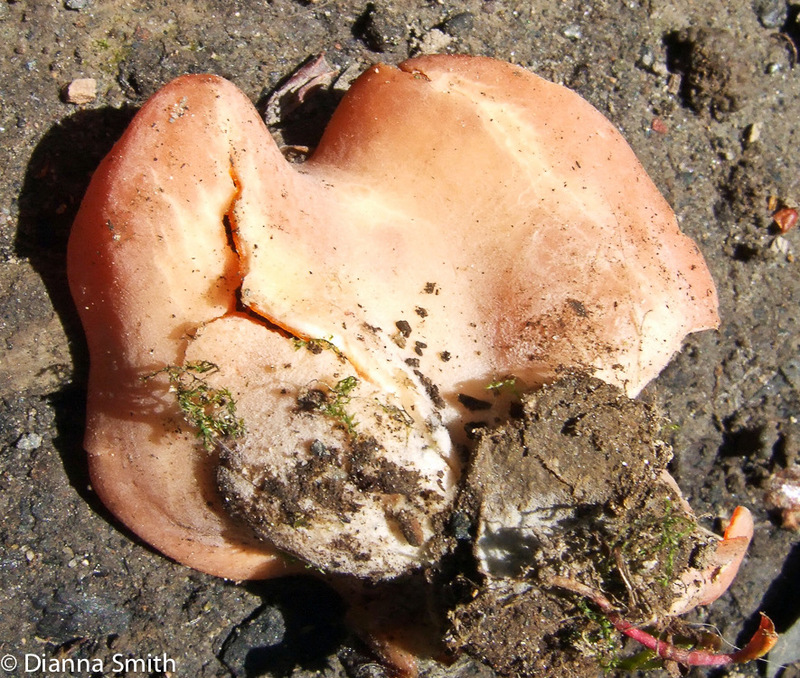 It typically appears on disturbed soil (along woodland paths) in late summer and autumn. 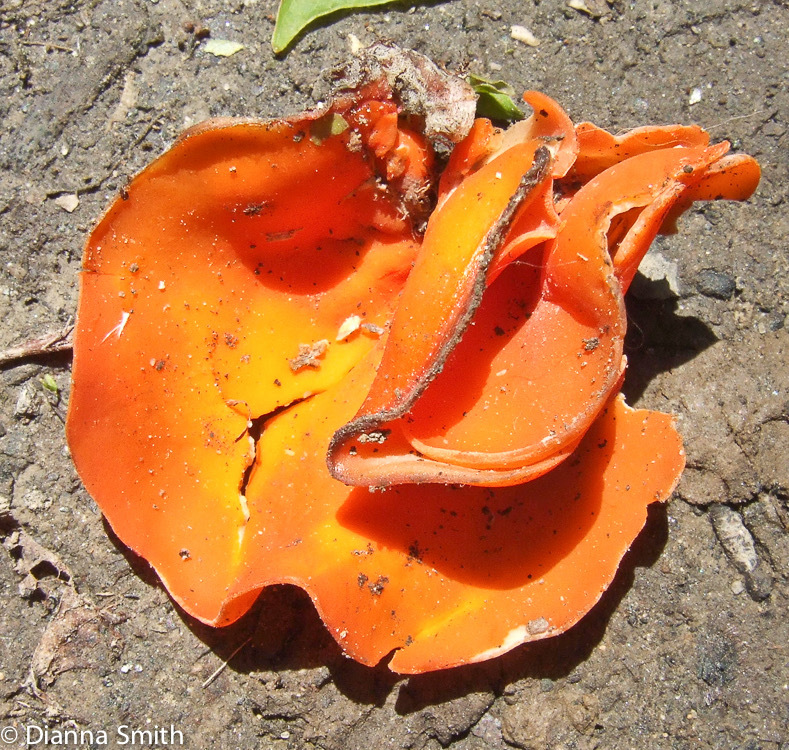 The spore-bearing interior is a often shiny and always brighter or darker orange than the paler exterior. There is no stem, but one can find white mycelia at the base of the cup. 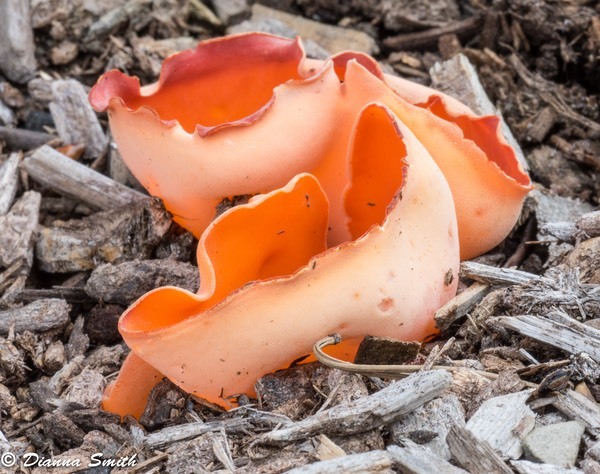 While not tasty, it is edible and looks great in salads.